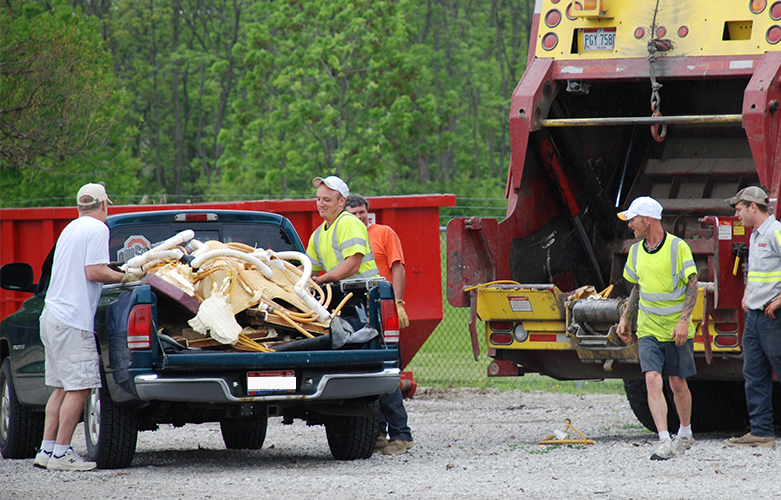 Safely discard or recycle unwanted items at Community Environmental Day from 8 a.m. to 1 p.m., Saturday, May 4 at the Jackson Township Administration Building, 3756 Hoover Road. The City of Grove City, Jackson Township, Keep Grove City Beautiful and Local Waste Services host the annual event. This is your opportunity to dispose of tires (a maximum of four tires per household), major appliances, shrubs, bushes and other yard waste for chipping, construction and landscape materials. Ohio Mobile Shredding provides safe and secure document shredding. iRecycle accepts computers, printers, monitors and electronics all shapes and sizes. The Grove City Noon Lions Club is collecting eyeglasses and donations are accepted for the Grove City Food Pantry and Emergency Services. Hazardous materials, paint and chemicals will not be accepted. Find a detailed list of accepted household hazardous waste items on the Solid Waste Authority of Central Ohio’s website. Save the date, Saturday, Sept. 28, 8 a.m. to 2 p.m., for the SWACO Household Hazardous Waste Collection in Grove City. Habitat for Humanity MidOhio Restore accepts reusable building materials, appliances, home items such as furniture and décor. Visit the Habitat for Humanity MidOhio Restore website for additional donation information. For additional information, call 614-277-3058 or 614-875-2742.